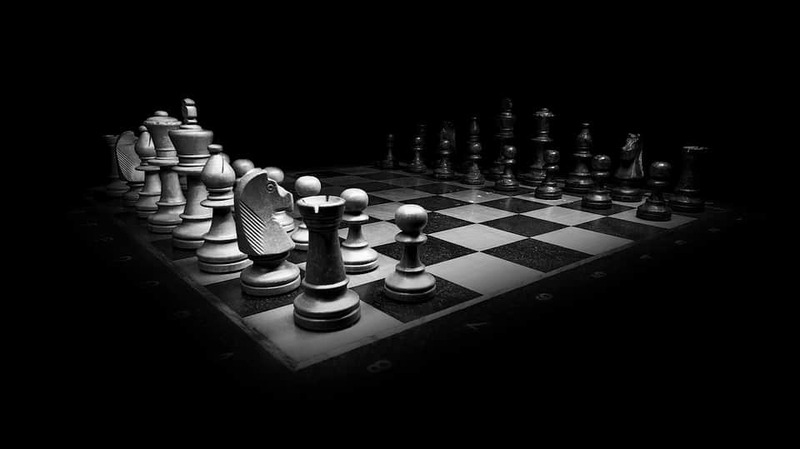 The first article in our Strategic Planning series discusses how Competitive Intelligence can and should adapt depending on the type of strategic planning model your business employs. This section focuses on common research questions that have varying degrees of value to solving your enterprise’s unique issues and strategic aims. When strategic planning activities start to heat up, it’s crucial that leadership stakeholders first build and foster understanding and consensus on what your business is trying to achieve. Since no two companies are the same, a fundamental part of this phase involves knowing what kind of questions your business should be asking to get the most out of its competitive intelligence functions. Getting this piece right is arguably your best shot at enabling your competitive intelligence program to work in concert with your strategic planning efforts. The set of typical questions that follow offer a broad range of competitive intelligence that may help your business gain the analytical decision support it needs in setting realistic goals during strategic planning season. How are competitors under- or over-performing against our organization? What do we do? What opportunities can we take advantage of? What are the top priorities? What are the threats to our business? Our plans? Our success? What can disrupt our plans? How do we respond? What does differentiation look like? What should our priorities be? How can we grow our business? How can we be successful against competition? What will have the largest impact? What is competition doing to grow their business? Where are competitors investing? What does this mean to our plans? What partnerships can we create to put us into a better market position? How are we getting closer to customers than competition? What are they doing that is better than we are? What should our investment priorities be? How is technology being leveraged to improve speed-to-customer, customer experience, or reducing overhead within competition? What are the implications in the short- and long-term? How are competitors getting longer-term agreements/more sticky with customers? What can we do about it? There may be other queries and tangential offshoots that are worthy of consideration. The key is in finding which of these CI functions can best help your organization resolve its business challenges, improve its business bottom line, and achieve the most ROI. We hope these query suggestions help your leadership think more creatively in devising its CI program to more effectively gain valuable insights during this season of strategic planning. Proactive Worldwide, Inc. is a global research and strategic intelligence consulting firm that provides evidence-based, constructive information within the competitive-intelligence, market-intelligence, and customer-insights domains. Anchored by primary-source research for over 22 years, PWW’s multilingual professionals assist clients with offerings that include – but are not limited to – market intelligence and competitive research services, market-entry and defense strategies, war-gaming workshops and scenario- planning events, and customer-experience and voice-of-customer studies. Which Strategic Plan/CI Approach Best Fits Your Organization’s Needs? With Strategic Planning season in full bloom, many motivated enterprises are exploring how to best use competitive intelligence to gain more momentum in meeting next year’s goals. Strategic planning programs, however, invariably vary from one company, or even one industry, to the next. Much of competitive intelligence’s value is in its chameleon-like ability to change colors depending on which of the five most common types of strategic planning schemes an organization employs. Understanding and developing a competitive intelligence program that can best match up with and support your specific strategic planning model will go a long way toward ensuring the success of your strategic plan. This model is a common approach that seeks to score where your business is and is not performing. Developing growth strategies and strategies to solve underperforming parts of the company are key goals. In this scenario, CI is used to 1) update and review competitive profiles; 2) produce awareness briefs on key or rising threats; and 3) better understand strategic direction and anticipate benchmarking activities. Leveraging strategic SWOTs is a key advantage that can help inform your leadership of its options. This common model focuses on where your organization wants to be or how it needs to respond to customer, competitor, and market challenges. In this case, CI is deployed to identify where competitive growth initiatives intersect with your organization’s plans, and to help prioritize market entry assessments or share those previously executed. Including voice of customer research in intelligence briefs is a key aspect here. This newer model is focused on navigating or even becoming a change agent in the market, with disruption being the key cornerstone of this approach. Here, CI profiles or monitors less-traditional competitors who can disrupt customer behavior, providing leadership threat assessments prioritized by level of disruptive capability. CI includes voice of customer work to threat analysis deliverables and may also have an M&A evaluation component to help your business develop a target list. This newer, scenario-based approach focuses on self-organizing strategy development through story boarding and iterative discussions. The output of these discussions comprises a list of goals and objectives that help your strategy become reality. Within this strategic planning module, CI is used to prepare for research needs that have narrowed timelines. CI enables your business to create and provide profiles on competitive behavior, and also leverages voice of customer research to help provide a more complete picture to your business. 2018 marked a year of change in the United States’ long-standing tariff policies. For the first time in over 15 years, the federal government adjusted tariffs on core raw materials – mainly aluminum and steel – to correct a perceived trade imbalance. Although not yet fully implemented, tariffs range from 10% to as high as 25% on all major U.S. trading partners, regardless of existing trade agreements. However, Chinese imports are being hit hardest, with tariffs expected of up to $200 billion (for perspective, the US imported $505 billion of Chinese goods in 2017). 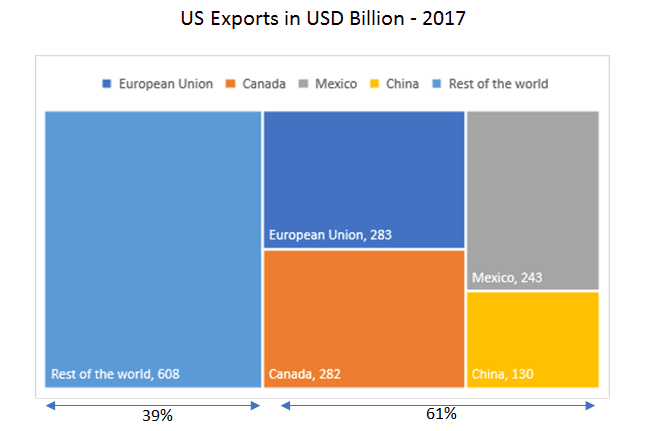 European Union: The 28-country trading bloc is the largest importer of US goods: in 2017 it received $283 billion of US exports (18% of total US exports). It is imposing retaliatory tariffs on hundreds of agricultural products (e.g., corn, rice), whiskey, tobacco products, clothing, steel and steel products. Canada: Canada’s impact on US exports is almost as large as the EU’S, having imported $282 billion of US goods in 2017 (18% of total). Its retaliatory tariffs focus on steel and aluminum products but also extend to items such as food, paper and household appliances. Mexico: The country’s southern neighbor is the third largest importer of US goods ($243 billion in 2017, or 16% of total US exports). It is imposing retaliatory tariffs on 3 billion goods, mostly agricultural products (pork, apples, potatoes and dairy). China: The largest exporter of goods into the US is also the fourth largest importer of US goods ($130 billion in 2017, or 8% of total US exports). China’s retaliatory tariffs thus far focus on stainless steel pipes, wine and agricultural products (soy, fruit and pork). Although exports were a large part of US GDP growth in the second quarter (caused largely by a surge in exports ahead of retaliatory tariffs from China), US companies are lowering their growth forecasts for Q3, as they expect continuing uncertainty and a challenging economic and political climate. This is despite the administration’s reassurance that Q2’s 4.1% GDP growth will continue. Steel and aluminum tariffs are having a negative impact in the food processing industry, as they are raising the costs of canned products. And China’s retaliatory tariffs will have a negative impact on the agricultural sector, with soybean and pork producers being particularly affected. As the Department of Agriculture notes, soybeans are the second largest crop in the US. In 2016 the US sold China $14.2 billion worth of soybeans (61% of the US’s total soybean exports), making it the largest agricultural export to China. The industry outlook is not good, despite the subsidies announced by the current administration. Soybean prices in July dropped to a 10-year low, and the industry is changing on a global scale as China is finding new suppliers. The pork industry is being greatly affected by these tariffs. Pre-tariff hog prices were $76 per hundred pounds, but as of August prices had fallen around 20%, to $61 per hundred pounds. Given the importance of the Chinese market for American producers (in 2017 almost 60% of US exports of pork were destined for China) and the fact that China is producing more pork domestically and finding alternative suppliers, American pork prices are expected to keep falling. Canned products are suffering price increases, and these prices are being passed along to consumers. The two largest soft beverage companies estimate the tariff-related costs to b e about 10% for their canned products. This is being reflected in their prices. Another unwelcome effect of aluminum tariffs is that it is creating a can shortage, which has food processors looking into alternative packaging. Proactive Worldwide can help clients find solutions for these issues by leveraging expertise in the agricultural and food processing markets. The mid-term impact of the steel and aluminum tariffs could be very problematic for the automotive sector. Not only will they raise prices for the end consumer, but they have also generated concern that new vehicle sales will decrease by about 10%. The Center for Automotive Research estimates that the proposed car components of tariffs could cause the average new US vehicle price to increase between $1000 and $4000. The car manufacturing industry has already confirmed that it plans to pass tariff costs to the final customer and has lowered its outlook for 2018 earnings. This is in line with GM’s 2018 forecast announcement, which had an immediate effect, with the company stock dropping 6% that same day. Other companies such as Daimler announced that its car and truck units results in Q2 2018 were hurt by a €164 million rise in costs, and that it projects a €500 million rise in raw material costs for the full year. Furthermore, the announcement that officials from Canada, the EU, Japan, Mexico and South Korea are currently in talks to align their strategies regarding car manufacturing and trade has domestic industry stakeholders worried, since it will likely have a negative impact on US manufacturing. By leveraging its expertise in this area, Proactive Worldwide can provide research and strategic analysis about potential or future threats and opportunities. Despite the current good moment the equipment manufacturing industry is enjoying – fueled by strong demand from the oil, gas and mining industries and the construction boom in China – there are reasons to be concerned. An example is Caterpillar, the world’s largest manufacturer of heavy equipment, which recently reported a much higher than expected Q2 2018 earnings report. However, in that same report the company also warned that it expects material costs to increase hundreds of millions of dollars. Following the overall industry trend, Caterpillar has already raised prices that will help offset the higher manufacturing costs, and amid increased competition is challenged to find domestic alternatives to some its raw material suppliers that are being hit with tariffs. Proactive Worldwide can help navigate this competitive market by identifying domestic sources of raw materials. MRO companies as well as customers in the U.S. should be aware of the recent tariff trends. Most MROs have operations abroad, particularly in China. The current impact of the tariffs on $50 billion of Chinese goods ($34 billion have been already enacted, and $16 more billion are approved and scheduled to be enacted on August 23) is not yet very noticeable. It is being offset by a small increase in the price of final goods that is affecting customers, but overall demand remains strong due to the relatively inelastic demand in this industry. However, once the proposed second round of tariffs affecting $200 billion of Chinese goods is enacted, the impact will be much more noticeable, further increasing prices and likely causing shortages in certain product categories. Proactive Worldwide has industry expertise to assist both sides of the market with guidance on strategy and risk mitigation measures. The solar panel industry was one of the first affected by the tariffs, and it is being affected twice: not only by tariffs on the panels themselves, but also by tariffs on steel and aluminum used to create the supporting structures. Due to recent changes in Chinese legislation that have discontinued the incentives for solar power installations, solar panel prices have fallen enough to compensate for the impact of the tariffs. For the time being the tariff’s impact is being compensated for by this price drop, but there is uncertainty about what direction the market will take later this year. Proactive Worldwide has the market knowledge and capabilities to quickly anticipate market changes and provide clients with analytical solutions to any challenges that may arise. The $16 billion in tariffs on Chinese goods that will be enacted on August 23 mostly target semiconductors. The Semiconductor Industry Association, which represents manufacturers and designers such as Intel, Qualcomm and Texas Instruments, stated that the tariffs will “undermine U.S. technological leadership, cost jobs, and adversely impact U.S. consumers of semiconductor products and the U.S. semiconductor producers.” Companies in the technology field also must consider the actions that countries like China can take against US companies, not only by instituting retaliatory tariffs but also by adding other retaliatory actions in what is known as qualitative tariffs. One example of this would be the botched acquisition of the Dutch company NXP semiconductors by Qualcomm on July 25. Qualcomm needed Beijing’s approval to the acquisition because the Chinese market accounts for nearly two-thirds of its revenue; Chinese authorities stalled the antitrust review, effectively killing the deal. Other technology devices such as activity trackers (e.g., Fitbit), Apple watches, and also e-cigarettes will also be affected if the proposed $200 billion tariffs are enacted. Overall, this is a sector that is being negatively impacted by the tariffs due to the uncertainty they generate. However, the increased risks to current sourcing and manufacturing processes in the industry also create opportunities for companies to find alternatives and get ahead of the competition, something in which intelligence research – such as that provided by Proactive Worldwide – will be key. Washing machines were also included among the first round of tariffs. The initial outlook for domestic manufacturers was very positive, with stock prices increasing and announcements of increasing workforce to meet demand. However, this positive outlook swiftly changed when the steel and aluminum tariffs were announced, as these raw materials constitute the bulk of the appliances. Between March and June the average cost of washing machines increased 17%. Demand is waning, which creates an even more challenging market environment in which competitive intelligence –one of Proactive Worldwide’s core capabilities – will be essential to stay ahead of the competition. Providing insight on how competitors are adapting to the new trade realities and what that means to your specific organization. Executing studies that identify threats to current manufacturing processes being affected by the trade war. Identifying opportunities that arise in the market as well as competitors’ strategies. Understanding how the market is being transformed and identifying the actions needed to adapt to new realities. While customers may still reign supreme in today’s marketplace, businesses may be overlooking another fundamental truth that could be thwarting them from achieving essential customer insights. Know your customers. While customer-centricity is still considered standard practice for most businesses, it’s getting even more intense as technology, big data, and ecommerce have shortened the distance from supplier to the consumer. During the last five years and likely well into the next 10 years, learning the customer from top to bottom and improving that interaction will continue to be a central focus of most organizations’ business functions. This leads to almost instantaneous interaction capability. While you’re at it, know your competition’s customers too. We’re also noticing growing interest in discovering how competitors interact with customers as well what customers think of these interactions. In this scenario, most competitive intelligence studies focus on understanding the threats and opportunities that organizations can leverage to inform and prioritize investments. These challenges are persuading today’s decision-makers to ask competitive intelligence professionals to incorporate Voice of Customer (VOC) assessments as part of a more incisive, rigorous research process. In fact, many organizations consider VOC assessments to be a mandatory table stake as part of a larger competitive landscape discussion. Why? Because VOC research functions tell a much more comprehensive story, adding nuance and dimension to a customer-centric theme that leadership now views as a crucial element to future competitiveness and growth. Including VOC insights requires a little different thinking and often a different research approach, but once that foundation is set, including VOC in a client’s toolset becomes a simple matter of execution. Let’s walk through some of VOC’s fundamentals and pitfalls and how to leverage this solution internally. First, add value by including customer perspective into research engagements and scopes of work. Although VOC often needs external research support, internal organization functions may already have the insight—or at least the perspective—you are seeking on a given topic. A key rule is to build on what has already been established. Next, start executing small VOC assessments to augment a research topic, or include questions about customer perceptions as part of an outsourced CI engagement. Determine your research approach based on informational priorities and required validation. For light topics, or to simply capture a general awareness, a handful of CI interviews that discuss customer perceptions can be enough. However, if the focus requires more evidence or larger decisions are at stake, a more formalized approach is recommended. Have clear objective and keep focused: This rule is similar to competitive and market intelligence assessments. While it’s tempting to add nice-to-know questions unrelated to a questionnaire, these can distract from the goal and increase survey length (which often increases survey complexity and the size of the investment). Keep the quota smaller and focused: Known as “small batch surveys,” targeted endeavors don’t require huge research engagements involving hundreds of interviews. The goal—again, like competitive intelligence—is to achieve accurate perspective. Surveys comprising 20–50 interviews can be highly effective for most requests. The segmentation of the data largely dictates the number of interviews, so limit the number of buckets, for example, large customers/small customers, East Coast/Midwest/West Coast, or three to four types of customers. When designing a quota, think buckets of 10 or 15 interviews per bucket. Leverage methodologies that pair to the objective: There are three types of VOC approaches – online surveys, phone research, and focus groups/panels. Each have their own value and impact. Most organizations for VOC projects connected to CI seek phone interviews (an adaptive, moderate investment that’s detail oriented) as the primary methodology. Focus ideally on open-ended questions: VOC is supposed to tell a story and/or add perspective. Many traditional surveys focus on numeric outputs and analysis, which can be helpful in some respects. It’s the qualitative details, however, that provide the richness and the “whys” to the story of the customer. Focus questions in this direction—you’ll achieve much stronger deliverables when pairing with competitive insights. Design a survey to be 30 minutes in length: For studies that are largely qualitative in nature – 10 to 15 questions will easily generate a 30-minute study. Limiting the survey to 30 minutes avoids respondent fatigue, in which respondents are more focused on getting off the phone versus providing rich and honest feedback. Surveys beyond 45 minutes increase both rejection rates and mid-survey terminations, burn through available sources, and drive investment costs up while jeopardizing the completion of the assessment. Leverage your provider to help create the survey, as most experts can design a questionnaire in a short period of time. Don’t make VOC a surprise – communicate plan and methodology early: Build internal consensus and buy-in among leadership on the value of achieving customer insights before including VOC in your project’s scope. With successful projects, you can introduce a new capability, again with that critical buy-in. Some companies are sensitive to who is contacted and how. Avoid stepping on toes – include other teams where possible: Within the “customer insights” milieu, always include those functions where prudent, and create cross-functional groups whenever possible. Many organizations focus their customer insight functions only on their own organization and customer perceptions, leaving out the competitive perspective. This negates the value competitive intelligence can bring. Beware of online surveys – cheap rarely equals good: Online surveys are cheap and can be fast – but often don’t lead to depth or good storytelling. Online surveys can help enhance qualitative studies—leveraging a high volume of data to validate perceptions—but are rarely useful in providing a complete story on their own. In many cases, online surveys can lead to more questions if used as a stand-alone instrument. For projects that require depth, detail, and strong evidence, choose phone interviews. As with CI, manage expectations regarding methodology and “statistically validated”: One of the most common questions involves whether a project is statistically validated. Some may be, many are not. In most cases this costly approach is not necessary, and ROI is hard to achieve when hundreds of in-depth interviews are required. Presenting a VOC as “perspective” with stakeholders should help address this challenge. The key is the quota and making sure that there are at least 10 to 15 interviews per bucket. 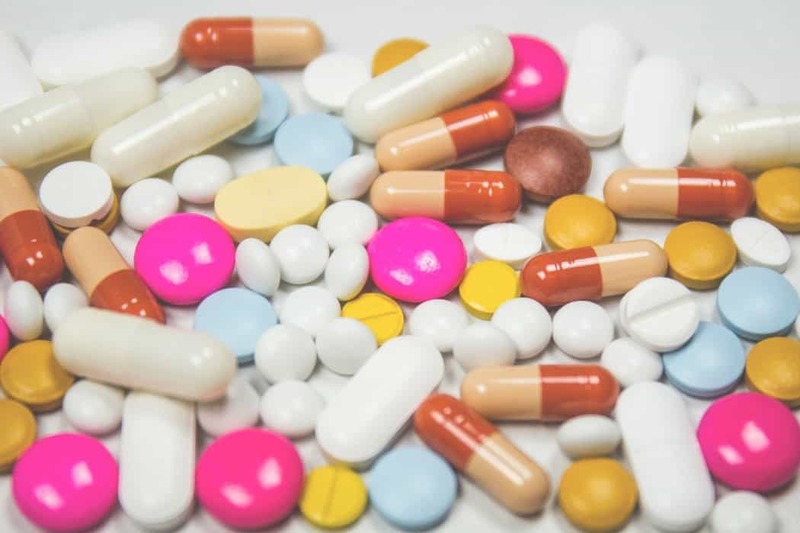 As long as care was taken to speak with high-value sources and those sources are evenly spread out – concerns about validity should be minimal. With these rules in mind, VOC engagements can add a wealth of insight to a competitive intelligence topic. In most significant engagements, bringing perspective from the market, competitors, and customers has even become even more essential in telling an effective story. Bringing these learnings to the table with a competitive spin will further enhance the value of the function and output.